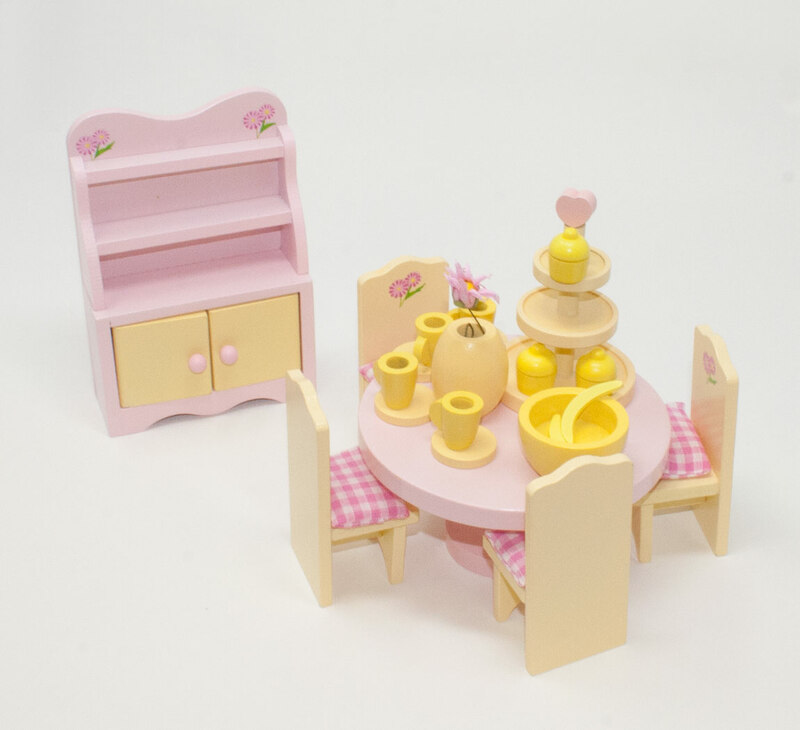 The Sweetbee Dining Room Furniture Set will inspire lots of yummy dinner parties! 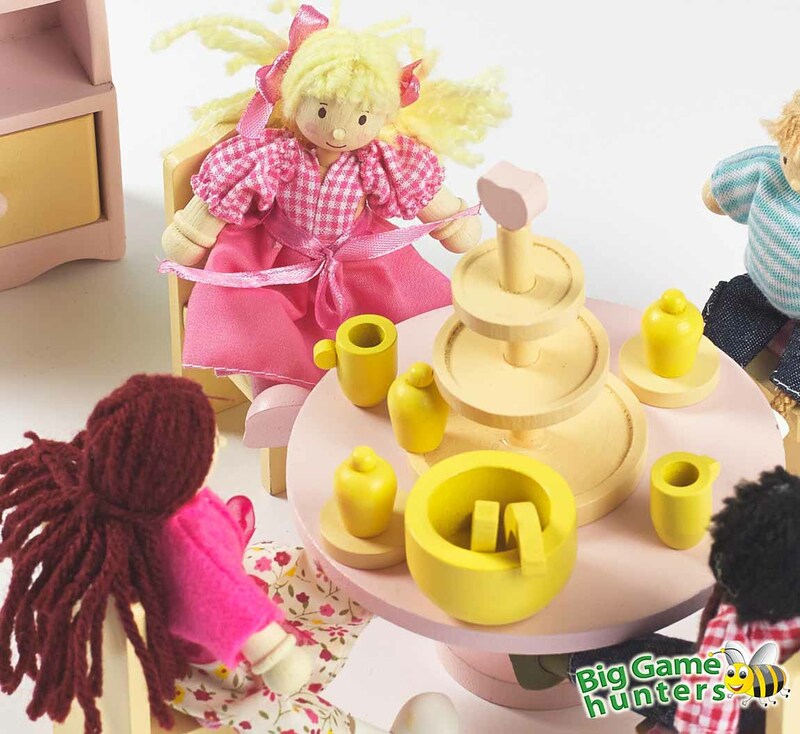 With a selection of dinner plates, cups and a beautiful dining table with matching chairs, the dolls can serve a delicious meal to their friends and family. 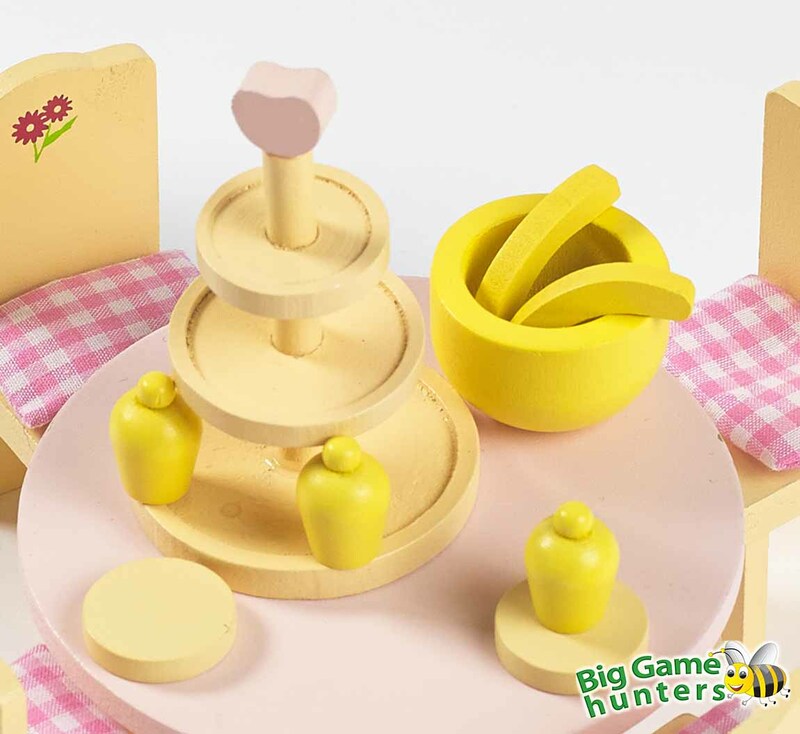 Or if a spot of Afternoon Tea is more their 'cup of tea', there's a pretty cake stand with a choice of yummy cakes and also a fruit bowl with bananas! 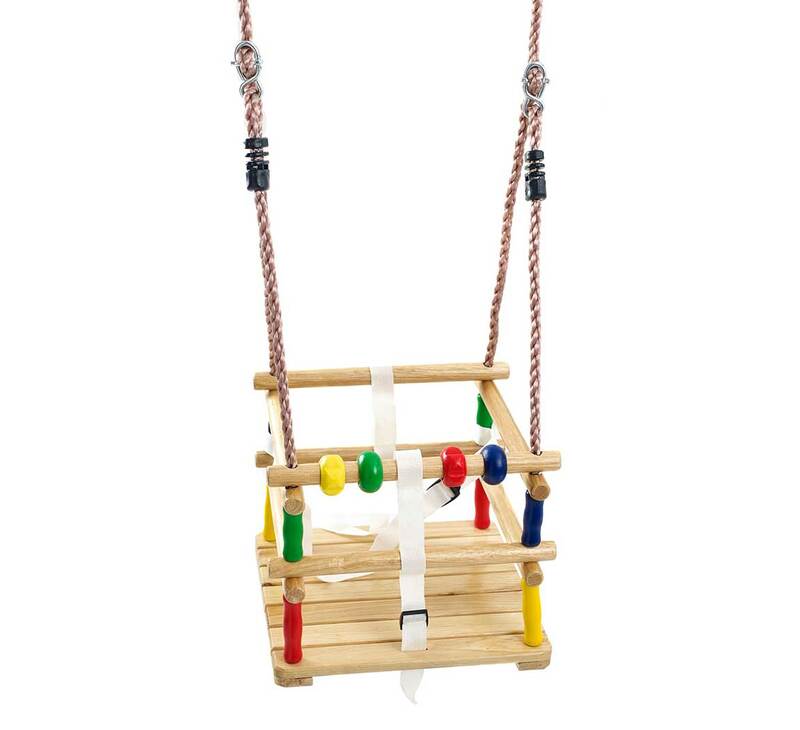 All accessories are made with hand-painted wood for wonderful durability and strength, and the dining chairs come with delightful chequered fabric cushions. The lovely colours, country cottage theme and exciting details will make any children's dolls house feel warm, cosy and inspire lots of lively pretend play. 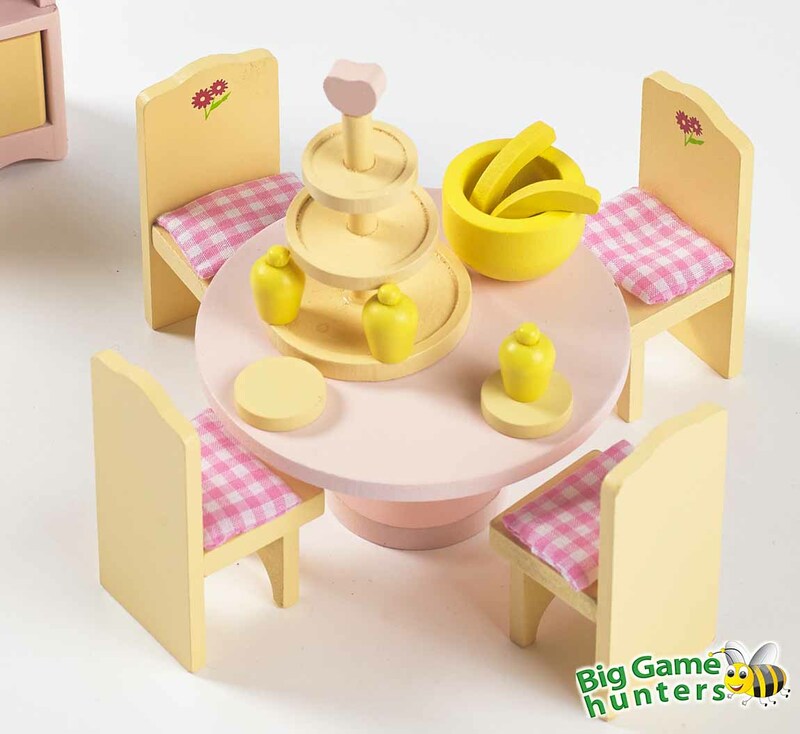 Playing tea parties with the Sweetbee Dining Room is the perfect way to engage in imaginative play while developing careful hand-eye coordination skills. 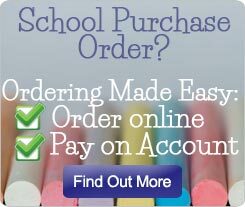 The little ones can put the cakes on the cake stand, lay out the dinner plates for the lucky guests and then tidy the crockery on the dresser shelves after the party!